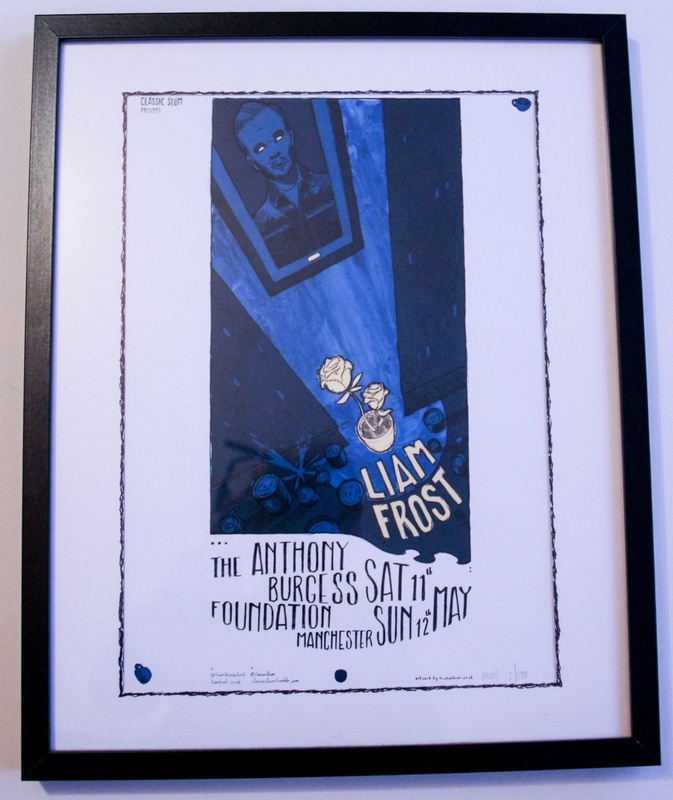 Limited edition poster for Liam Frost's 2013 International Anthony Burgess Foundation gigs designed by Him Hallows. The print run was limited to 100 with the posters signed and numbered by the artist and because we thought the traffic would be worse than it was, we got to the gig a bit early and bagged poster number 1. At the end of the show Frost was around to sign the posters and someone from the audience told me I should get mine signed. I watched as others had little messages added to theirs but couldn't bear to see the nice white negative space sullied by a fat black marker pen signature so I decided not to have mine written on. I stand by that decision.